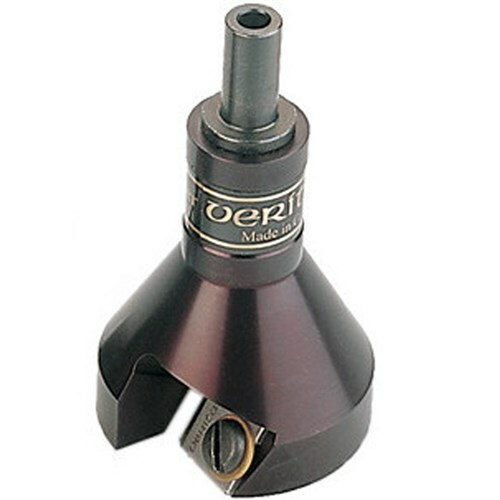 Veritas Mini Tapered Tenon cutter - 5/16"
Veritas have developed the mini tenon cutters for use with smaller timber, making this the fastest and easiest way to do mortice and tenon joinery in round or dimensioned stock. This system uses power tenon cutters and matching countersinks to produce strong flush fitting joints, the cutters produce a symmetrical tenon with a 60° tapered shoulder that fits neatly in a countersunk socket. 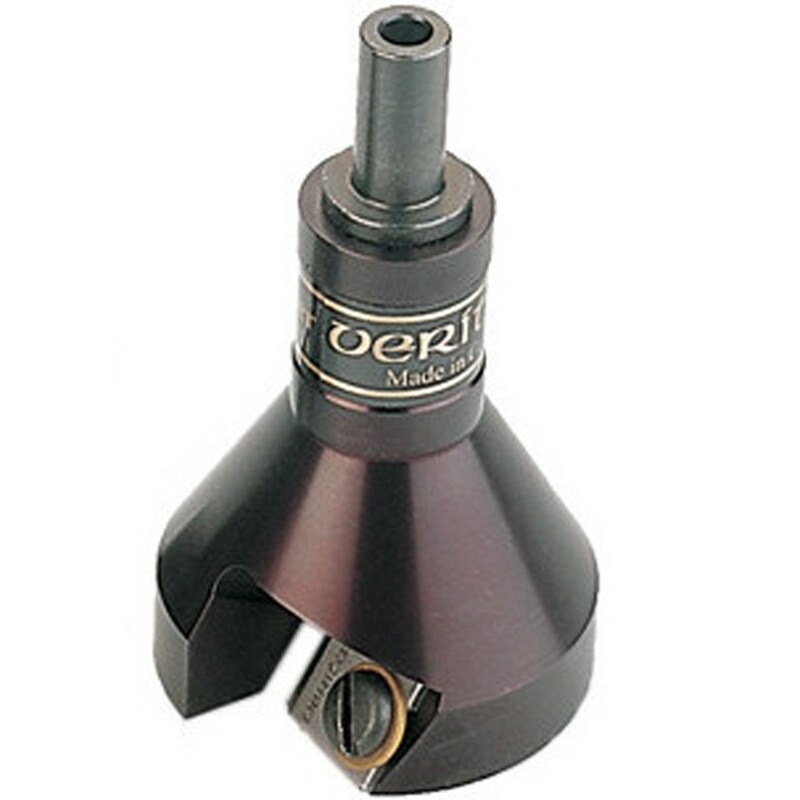 The 05J42 series mini tenon cutters feature a single blade, while the larger 05J46 series feature a main blade that shapes the tenon and shoulder to cope with the increased size in material. A finishing blade smoothes the tenon to a consistent diameter and cuts a slight relief at the base of the shoulder to ensure it seats flush. 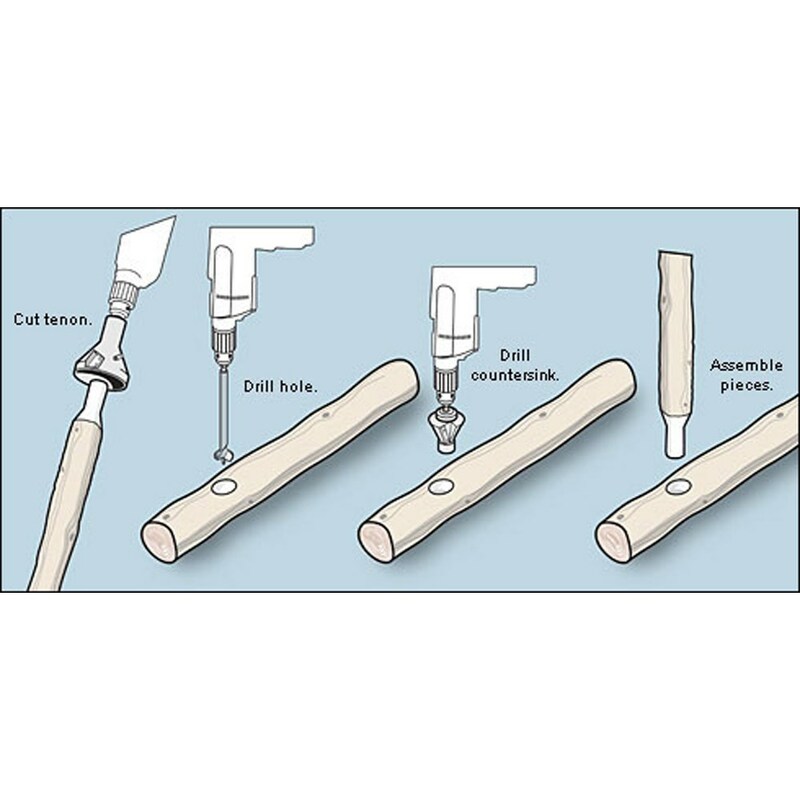 The finishing blade's cutting depth is adjustable, so you can fine tune the tenon diameter for close fit. 5/8" to 1" maximum 2" long and are for use in drills with a 3/8" or larger chuck. Note: For use in an electric drill, not a drill press.